This pattern of chest of drawers, on moulded stand with serpentine fretted brackets, featured in Thomas Chippendale's The Gentleman and Cabinet-Maker's Director, 1754 (pl. LXXXV (85)). 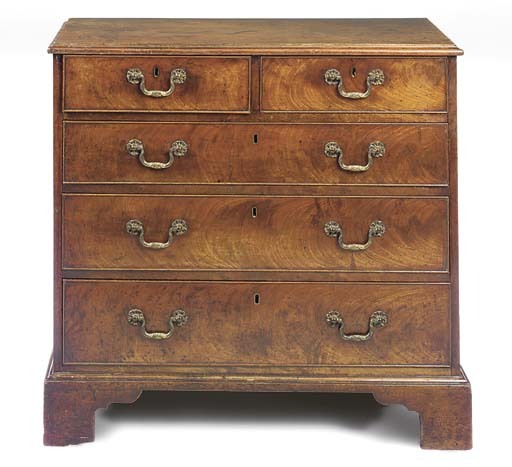 Other chests, with similarly flamed veneer, were sold anonymously, Christie's, South Kensington, 6 June 2001, lot 150 and Christie's, London, 19 September 2002, lot 166.